And the winner is… THE SONY NEX-FS700! Wait, what?! Didn’t you look at the Blackmagic Cinema Cameras (Pocket & 4K editions)? Surely they were the biggest hit of NAB 2013. Well I’ll admit they had a ton of buzz and will probably sell like hotcakes to eager filmmakers hoping to spend a few bucks and have a magical movie making machine. The problem with the BMC cameras is that they aren’t the best for a wide range of productions. Studio work – CHECK! Green screen work – CHECK! Commercial productions – CHECKAREENO! Web video…ummm… Event shooters, documentary shooters….errrr, uh…. Don’t get me wrong, I’m all for companies innovating and Blackmagic has certainly done that. But I need a camera that does many things well, not just one. That’s why I purchased the FS700 close to a year ago. I was very impressed with the long list of features…ND filters, Cinegammas, super slow motion, etc. 4K was something I was hopeful for but wasn’t the main reason I purchased the camera. But with NAB 2013 fast approaching, I was eager to see what Sony would be announcing for 4K and what third party support would be available. The NAB Show doors opened Monday morning and I headed towards some of the recorder manufacturers I knew from previous years. Atomos…nope, no 4K. Ki Pro…they had their Quad but not much new information. Convergent Design…hmmm, what’s this Odyssey thing? Oh, wow! I’d seen gear from Convergent Design before and hadn’t found anything that I really needed for my production. That all changed with the Odyssey7Q. A 4K recorder that was officially supported by Sony that also happened to be a very sweet professional field monitor. So instead of slapping a giant brick to the back of your camera (Sony’s recorder option) I could consolidate my monitor and recorder into one device. Big thumbs up! Then they started listing off features including a wide gambit of codec support that I only need to rent or purchase if a shoot calls for it. That keeps costs down for me. Also the ability to shoot 240fps continuous RAW. Not saying I’ll need it often, but it’s very handy to have if a production calls for it. Then I headed over to Sony to get the low-down on their 4K upgrade path. Low and behold, they had a Odyssey7Q hooked up to their FS700. That means Sony is embracing this as an option for FS700 owners. While talking about 4K with Mr. Juan Martinez, he casually noted that the FS700 would be getting S-Log 2. Whaaa-wha?! You mean the thing that I’ve always wished for and envied in F3 owners? RAW is great, but I expect to be living in a 10bit Prores or DNxHD workflow so S-Log will be my best friend. 4K and HD RAW when I need it, but HD 10bit for most everything else. After NAB 2013, I really, REALLY am happy with my FS700 purchase. It just became the best value camera on the market. There’s really nothing else more I could realistically want from the camera. And the best part is it still shoots to the very robust AVCHD codec on board when I don’t need 10bit. Again, this keeps me lightweight for event shooting and web video. To do that on a RED, you need a $13,000 module. No thanks. Did you see them mention throwing in compressed codecs for free due to NAB feedback? Finally took the plunge and got an FS700 this week, partly inspired by the great wedding video footage you posted a while back. It will be a bit before I’m ready to add on the 4K options and spring for a Odyssey 7Q, but it’s the obvious choice. The good thing is the delay will let me become familiar with the camera performance and quirks, allow production and shipping to normalize, and let first generation recording technology *bugs* be sorted out. BTW, one of the best accessories for the FS700 so far has been the Metabones Speed Bosster lens adapter for Canon EF mount lenses. Eliminates the crop-sensor field of view issues and really does give an extra stop of light. My L-series f2.8 lenses are all f2.0 now… even better for lower noise. However, the idea that you need a $13k module to shoot 1080p compressed video from RED cameras is a bit odd, considering you can do it with a $300 external recorder like the hyperdeck using HD-SDI or HDMI ouput. Then again I have one but it hardly turns my Scarlet into an ENG camera, since my FS700 blows it out of the water for run and gun work since I can run on one card and one battery all day and shoot in any light especially with my speedbooster… All of which would be impossible on a RED. You can use the same odyssey monitor/recorder with Red. The $13k Meizler module does SO MUCH MORE than just 1080 files, that’s why it’s $13k. You can use a $1k hyperdeck shuttle also for example, there are many options. I’m still left with the question that if the FS700 will output S-Log2 to any external recorder, since it is basically a picture profile, will the 1080P be 10-bit 422 instead of 8-bit now. If the camera output can only do 4K 12-bit (or 16-bit) RAW and 1080P 8-bit 422, then there is no benefit in using S-Log2 with an external recorder that records 1080p in 10-bit. There is simply too much color information to be stored with S-Log to squeeze it into the 8-bit. If so we’re still stuck with the two relatively expensive recorders. I hope my doubts are wrong and Sony chooses the path for an upgrade like with the F3, which gives the option between 12-bit 444 and 10-bit 422. The FS700 is a wonderful camera for documentary. It is lightweight, has e-mount so even optically stabilized lenses work on it, has good color rendering with the cinegammas, has ND filters build in, with the right rig perfect for run and gun. But there is a great but… it doesn’t have a broadcast approved codec. Having to put a brick at the end or a 7 inch screen on top for a recorder, doesn’t make it more portable for documentary. And the RAW format, if you shoot tens or hundreds of hours of material, makes it impossible to store on the road. A simple small recorder will do, with 10-bit 422 recording in ProRes or DNxHD (or the new XAVC). I don’t know what other people think, but I would like to know. It’s very hard NOT to take a seriously look at the Sony FS700 for anybody looking at purchasing a new large sensor video camera right now. The Metabones speedbooster and 4K/240 FPS output to the new Odyssey make this a no brainer for me. I’ve been renting Canon C series cameras for jobs, but never felt they had the right combination of features for the price for me to take the plunge, but Sony and their partners definitely have put together almost everything I’ve been looking for at an attractive price point. I’ve been thinking exactly the same. The FS700 with S-Log2 would be my perfect documentary camera IF it can be recorded to a compact recorder in 10-bit. S-Log looks so much nicer than the standard profiles but i don’t think an 8-bit codec can do justice to that kind of dynamic range. For web use it might be fine but will it pass broadcast QC? 12-bit raw just isn’t a viable option for most documentaries due to file sizes and the added complexity in post. Does anyone know if the Odyssey 7Q can record 10-bit Prores or similar, from the 12-bit raw feed? 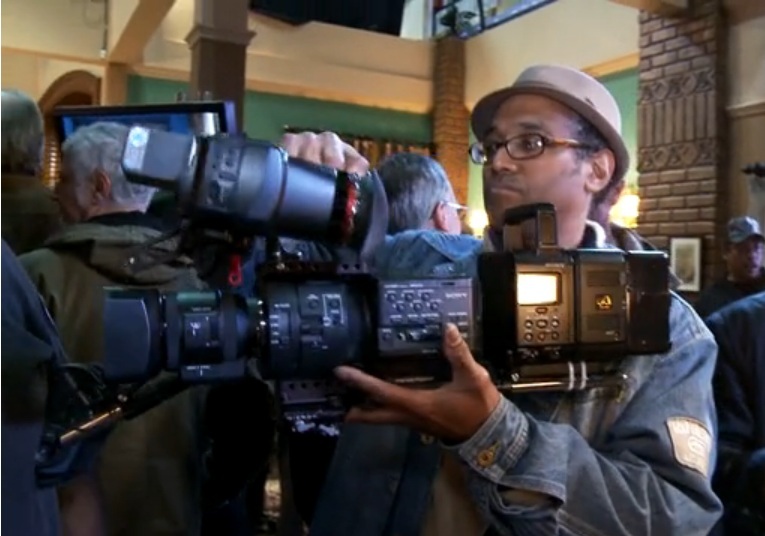 Best of NAB 2013 – You’ve got to be joking!!! True the Sony FS 700 is a good camera, but did you see a big line up of people dying to get a look at it? Of course not. To be the best at NAB you’ve got to be new and extrodinary. After the wonderful coverage you gave us of NAB, it seems you didn’t even watch it. 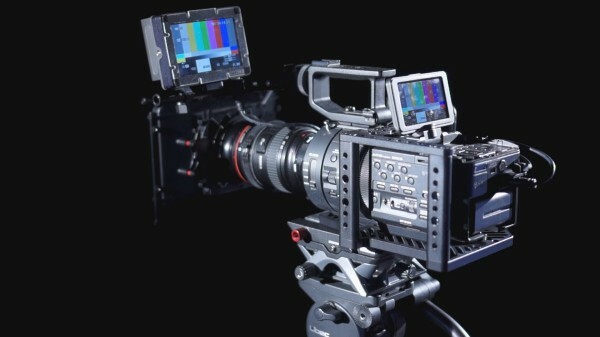 The Sony FS 700 seems to be a good fit for you. I have many colleagues in this industry, none of them own this camera and as far as I know, it is not on anybody’s wish list.